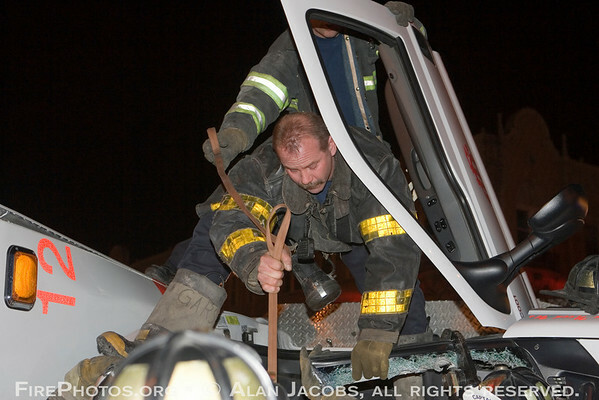 Squad 5 fireman Tom Garswick with webbing attached to a paramedic trapped in ambulance turned on its side. hwy dats my dad!! he is soo awesome! no offense to da the other guys ( i still luv u all neway) he is best! wat he does ceases to amaze me!! h*** ya! !